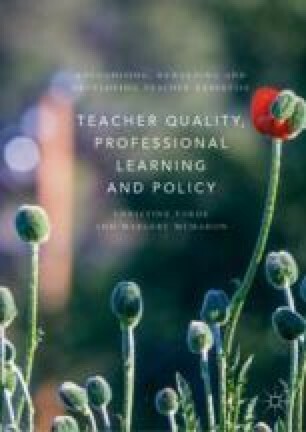 This concluding chapter bring together several issues to identify some of the challenges in building teacher expertise and sustaining accomplished practice. The apparent paradox is examined of teachers being positioned both as the policy problem to be addressed and the policy solution through which systems-level improvement is to be realised. The image and standing of the profession is then discussed. A key theme in the development of teacher expertise is the place of professional learning and an elaborated model of professional learning is proposed which identify strategies that can be used to foster teacher expertise and accomplished practice. Darling-Hammond, L., Wei, R. C., Andree, A., & Richardson, N. (2009). Professional Learning in the Learning Profession: A Status Report on Teacher Development in the United States and Abroad. Stanford, CA & Dallas TX: Stanford University and National Staff Development Council. https://www.learningforward.org/docs/default-source/pdf/nsdcstudy2009.pdf. Hargreaves, L., Cunningham, M., Hansen, A., McIntyre, D., Oliver, C., & Pell, T. (2007). The Status of Teachers and the Teaching Profession in England: Views from Inside and Outside the Profession (Final Report of the Teacher Status Project). England: University of Cambridge Faculty of Education, Department of Media and Communication, University of Leicester. https://www.educ.cam.ac.uk/research/projects/teacherstatus/Summaryreport_25Jan07_print_ready_version.pdf. HSE (Health and Safety Executive). (2017). Work-Related Stress, Depression or Anxiety Statistics in Great Britain 2017. Merseyside: HSE. www.hse.gov.uk/statistics/causdis/stress/stress.pdf. OECD. (2018). Valuing Our Teachers and Raising Their Status: How Communities Can Help: International Summit on the Teaching Profession. Paris: OECD. https://doi.org/10.1787/9789264292697-en.